The Egyptian goose with an arrow in its neck seen wandering the Anaheim Hills area is now in the custody of Orange County Animal Care. 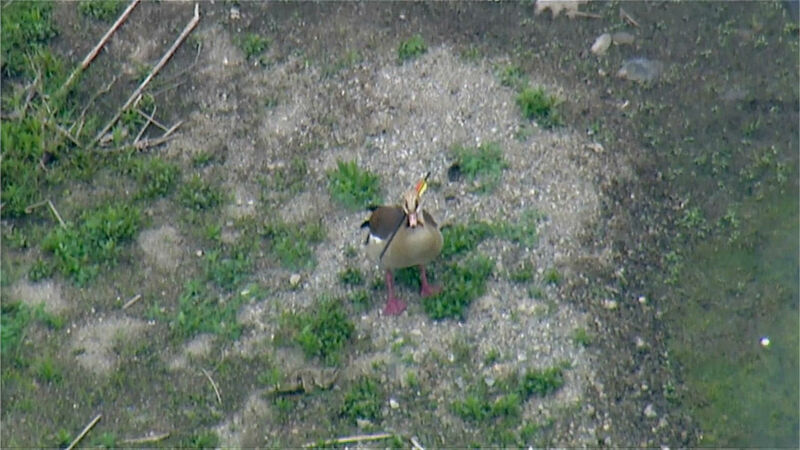 ANAHEIM, Calif. (KABC) -- The Egyptian goose with an arrow in its neck seen wandering the Anaheim Hills area was taken into custody by Orange County Animal Care, but died shortly after surgery. Abundio Martinez, a local car wash worker, said he was able to coax the bird into his office by feeding it some bread crumbs. Animal control officers later arrived on scene and took the bird away on Wednesday. "We really appreciate what he did," said Brian Frick with Orange County Animal Control. Animal control officers had been trying to catch the animal, but it evaded capture whenever they got close. They believe the arrow had been lodged in the goose's neck for about two weeks. The arrow missed all vital organs, but the goose died after surgery at an animal hospital in Lake Forest. Animal control officials were unsure if it was due to the extent of the injuries or another complication. The incident was being investigated as an animal cruelty case. Officials say it is very likely that the goose was intentionally shot. Anyone with information is urged to call Orange County Animal Care at (714) 935-6848. Wildlife officials try to capture a wild goose with an arrow through its neck in the Anaheim Hills area on Tuesday, April 14, 2015.